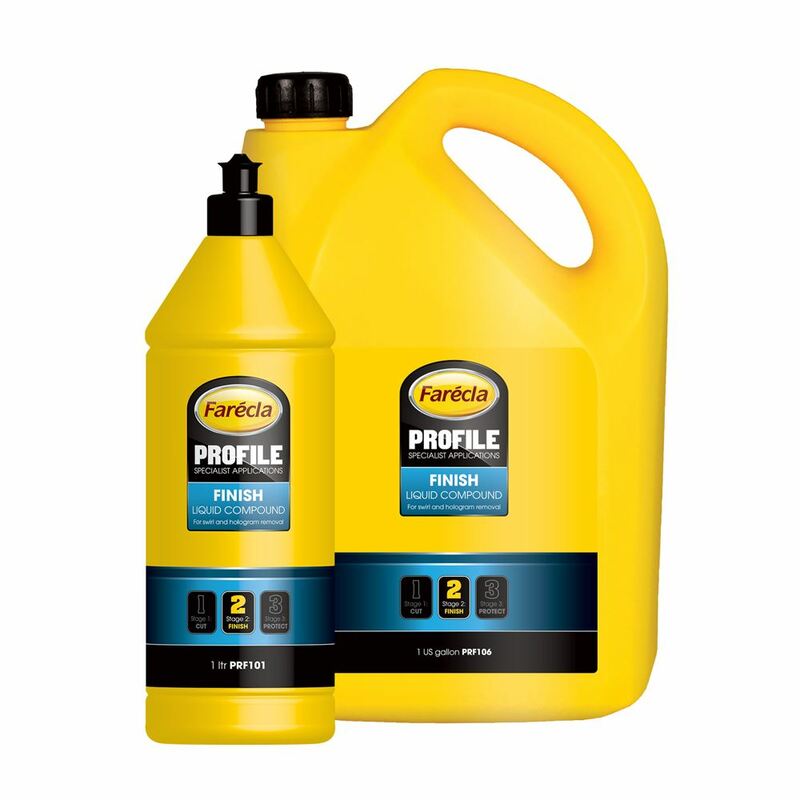 FARECLA Profile Finish Liquid Compound is a very fine finishing compound designed to remove any light swirl marks and holograms from high quality painted lacquered and gel coat surfaces to leave the ultimate high gloss finish. 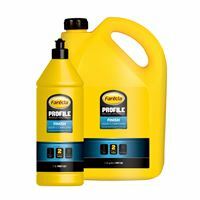 FARECLA Profile Finish Liquid Compound will not scratch and is particularly good on soft coatings which are susceptible to swirl marks. FARECLA Profile Finish Liquid Compound is ideally applied using a Farécla G Mop Finishing Foam, which was engineered in tandem with the compound to provide optimum performance. For a higher cut, use with a G Mop Lambs Wool Pad.